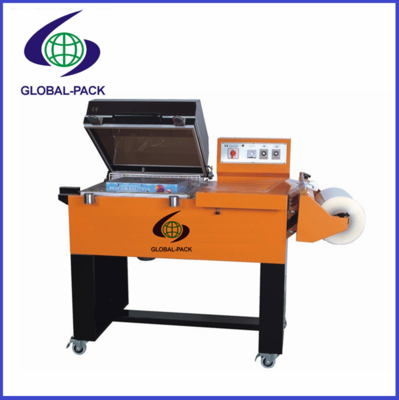 2 in 1 Shrink packing machine - SHENZHEN GLOBAL PACK CO., LTD. Application ： Shrink package for cosmetic, daily chemical, pharmaceutical foods & hardware parts. 1. Application: Shrink package for cosmetic, daily chemical, pharmaceutical foods & hardware parts. a) Shrinking synchronize with sealing & cutting. 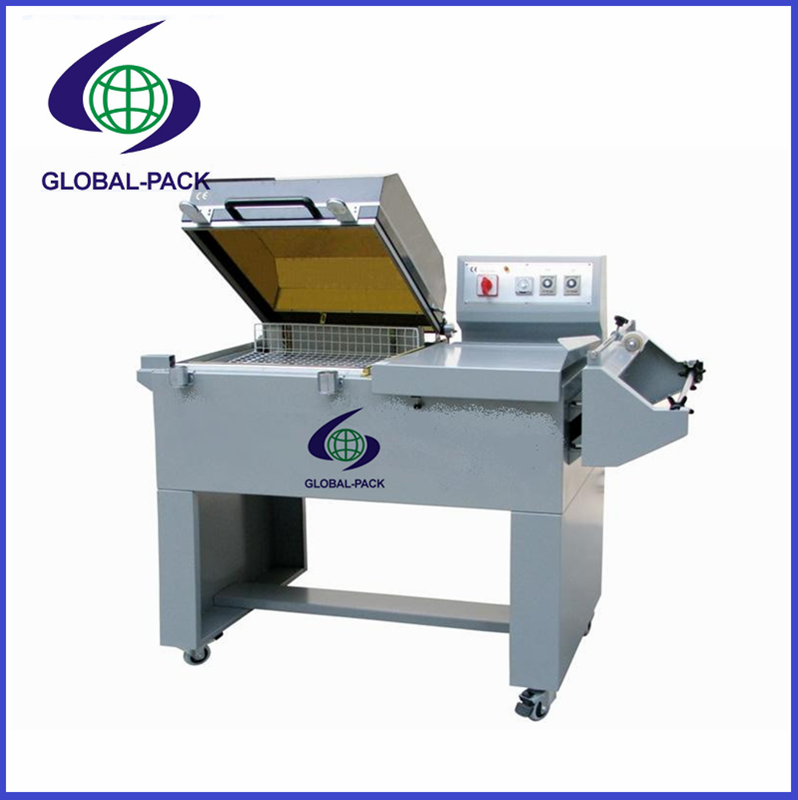 b) Auto or manual shrinking temperature adjustment, internal heat compensation installed. c) Fiber reamer slot, non-sticky sealing & cutting, artistic and durable. e) Adjustable working platform to suit for different size of package.